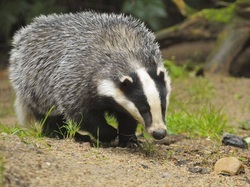 The Great Badger Trail is a fundraising event to assist campaigners in the proposed badger cull zones of Gloucester and Somerset that is to be rolled out shortly. In the event that the money is raised and the cull does not take place, the funds will be made available to promote vaccination, where possible, in those same areas. It is a journey of 112 miles, approximately 11.2 miles a day. People can join in for as little or as long as they like, a few hours, a few days or the whole 10 days. They can walk, ride a bike, use roller skates or motability scooters, dance or run their way to london. As long as its safe and you raise sponsorship along the way, we are happy to have you. Come and join us. It is suitable for people of all ages, for schools, clubs, wildlife organisations and anyone who has an interest in stopping this governments destruction and neglect of our natural habitat and our treasured Badgers, Foxes and other wildlife. It their our longest day, 16 miles, so they will have many tired walkers and people are going to camp at Southdown farm, 1 mile away.